First Create an Google Account. Fill in your Account Name, Website Name, Website URL, and select an Industry Category from the drop-down and Reporting Time Zone. 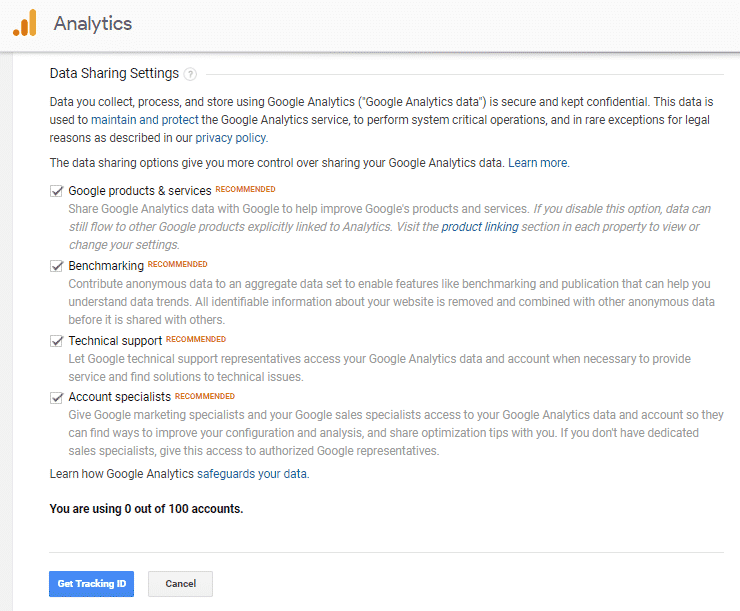 Move on to the Under Data Sharing Options, check the boxes next to the options that you want. 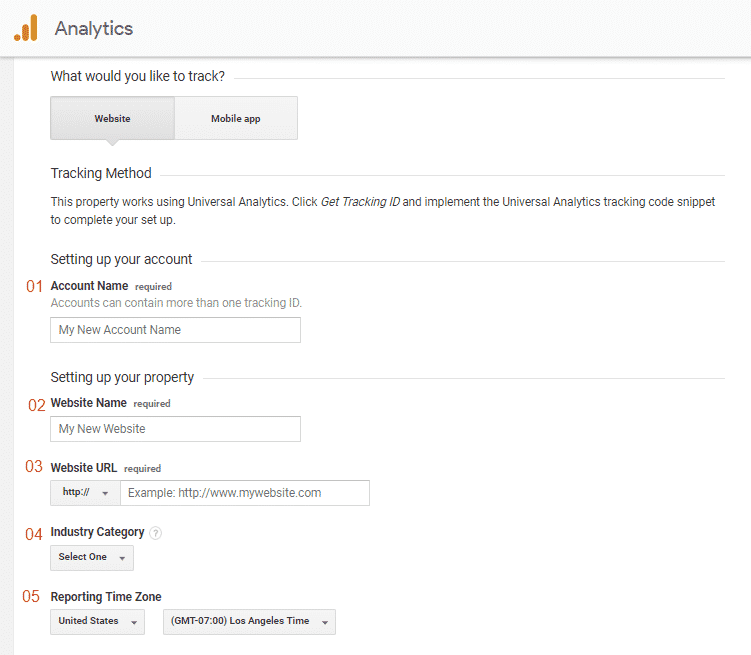 Scroll Down and hit the Get Tracking ID Button. 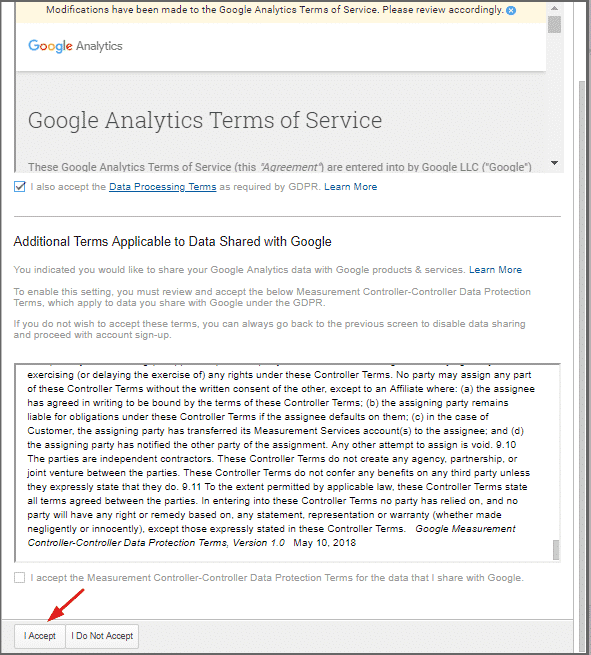 Accept the Data Processing Terms.